Elizabeth Woodbury Kasius & HEARD is an ensemble that is exploring the many possibilities of sound, emotion and presentation of world music combined with jazz. The ensemble combines world music with jazz colors and language with rhythmic influences from West Africa and Brazil. The result is a New World Jazz sound that is energetic, festive and the spirit of the music will invigorate your heart. The ensemble, HEARD, and its music is the passionate work of composer/arranger and-pianist, Elizabeth Woodbury Kasius. Woodbury Kasius’ background in music allows her to draw upon a wide array of styles –jazz, classical and world music. As well as being a bandleader, Woodbury Kasius is also an educator, she teaches composition and piano privately, she is a Dance Musician at Skidmore College in Saratoga Springs where she plays for modern and improv dance. Prior to that, she was an adjunct professor for 12 years in the Dance Department at Russell Sage College in Troy, NY, where she worked as a dance musician and composer. Her collaborations and accompanying with dancers have also led her to work with the Martha Graham, Mark Morris, Jose Limon, and Doug Varone Companies, and the NYC Ballet, and with Saratoga Springs’ TangoFusion. Her work with the Capital-District based Ellen Sinopoli Modern Dance Company has led to numerous Arts-in-Education Residencies in regional elementary schools. Woodbury Kasius’ love of Brazilian music led her to create the HEARD, which is made up of: Jonathan Greene on woodwinds, Bobby Kendall on bass, Brian Melick on percussion and drum set, and Zorkie Nelson on percussion, vocals, and flute. Woodwinds player Jonathan Greene is an active freelance musician in the New York Capital Region’s jazz, world, and classical scenes. A member of HEARD for over 10 years, he attended Garfield High, where he was part of their internationally known jazz program and Big Band, whom he toured Europe and Japan with his senior year. While in Seattle, he also became an accomplished mbira player, through the vibrant world music scene happening out of the University of Washington. Bobby Kendall, bass, brings his skills as a jazz, rock, and post-rock stand-up, and electric bass player to HEARD. A Skidmore College graduate with a masters in bass performance from SUNY Purchase, Bobby resides in Troy, NY. Bobby has toured nationally with Americana alt group Goodnight Texas, and fronts his own post-rock group, Last Day Shining. He is also a filmmaker. Brian Melick is a percussive treasure who is known for his unique “hybrid” sound, built from his astonishing collection of world music instruments and his mastery of their techniques. His sensitivity, musicality, and adaptability lend an eclecticism to HEARD. He tours regularly with a diverse range of groups spanning musical territory from Flamenco to jazz and Celtic, including: Cathie Ryan, Kevin McCrell, Maria Zemantauski, The Bernstein Bard Quartet and Joy Adler & The Souls of Evolution. He has been featured on more than 375 recordings and is endorsed by LP, Remo, and Udu Drum Inc., amongst others. Brian recently built the world’s first Lego Drum Kit, soon to be on permanent display at the Percussive Arts Society Museum in Ohio. West African drummer Zorkie Nelson comes from a long line of Ghanaian master drummers and brings an exciting and deep richness to the music of HEARD. In addition to his percussive role in the band, he also lends his talents on flute and vocals. Zorkie was a founding member of the Pan African Orchestra (PAO), with the group from 1988-97. With PAO he toured the U.S., Canada, France and the U.K. and recorded Opus 1, and toured Denmark with the Ghana National Dance Ensemble. Now based in upstate NY, Zorkie also leads his own group, Gballoi, and was a member of drum master Yacub Addy’s Ghanaian ensemble Odadaa! for 11 years, during which time the group toured multiple times with Wynton Marsalis. He is an expert percussion teacher and was a dance musician at Russell Sage College in Troy for 10 years. On Flyway, the quintet presents eleven original compositions, mostly composed by Woodbury Kasius, along with contributions by other band members, she also co-writes on several selections. The music is positive in nature, with some tracks featuring singing, but mostly the tracks are instrumental. Another strong point on Flyway is the vast variety of instrument colors and percussion sounds, along with many talented special guests, which include: George Muscatello on guitar, Aston “Robot” Ellis on steel drums and a myriad of special guest vocalists, including Kristi Brown and a 9 voice children’s choir. The vibrant and multi-layered ensemble performs energetic sounds from around the globe. Flyway was recorded at Wood’s End, Dreamland & Overit Studios, and at the Strand Theater with the help of Grammy-award winning producer, Joel Moss. Our favorite track is “Southwest.” Starting the track off is a beautiful 5/4 groove that is set up by the rhythmic sounds of Melick’s drum set and Nelson’s percussion with Kendall’s big acoustic bass line providing the harmonic and rhythmic anchor. The orchestration of the melody matches the fun and positive spirit of the music with Woodbury Kasius providing the voice and electric keyboard and Greene playing clarinet. George Muscatello guests on electric guitar. The composition flows like a jazz structure: intro, melody and then solos. The solos match the vibe of the tune and both are energetic and full of world rhythms and jazz colors. Woodbury Kasius adds sections that are written, which builds and complements the overall flow of the track. The vocal break-down is very effective and shows that she is not only a fabulous composer, but also a performer and vocalist too. This is uplifting music that makes the soul want to dance. 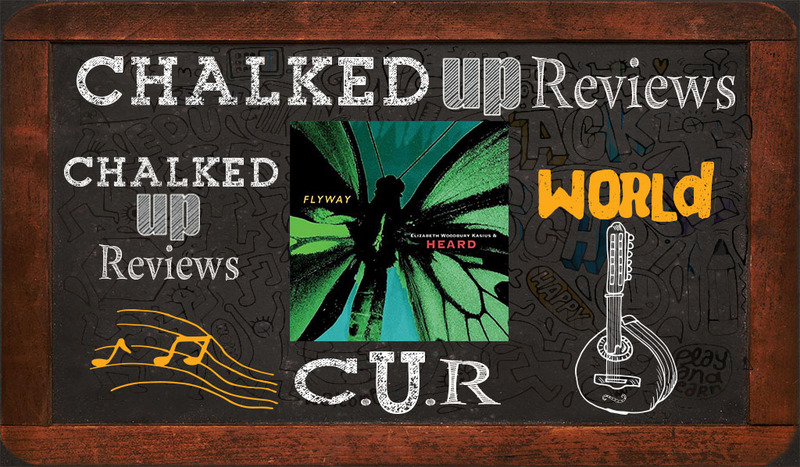 Flyway is a bold and moving collection of eleven tunes that covers many emotions and styles, but always maintains a focus on positive energy and conveying a world music sensibility in sounds and rhythms. Woodbury Kasius is skilled at orchestration, which allows each track to be a musical adventure. The HEARD is a band that certainly loves playing together and it conveys well in the music. Flyway brings focus to the many corners of the globe and presents its beauty through the vision of Woodbury Kasius and HEARD for our listening pleasure and this music certainly IS a pleasure to listen to and enjoy.